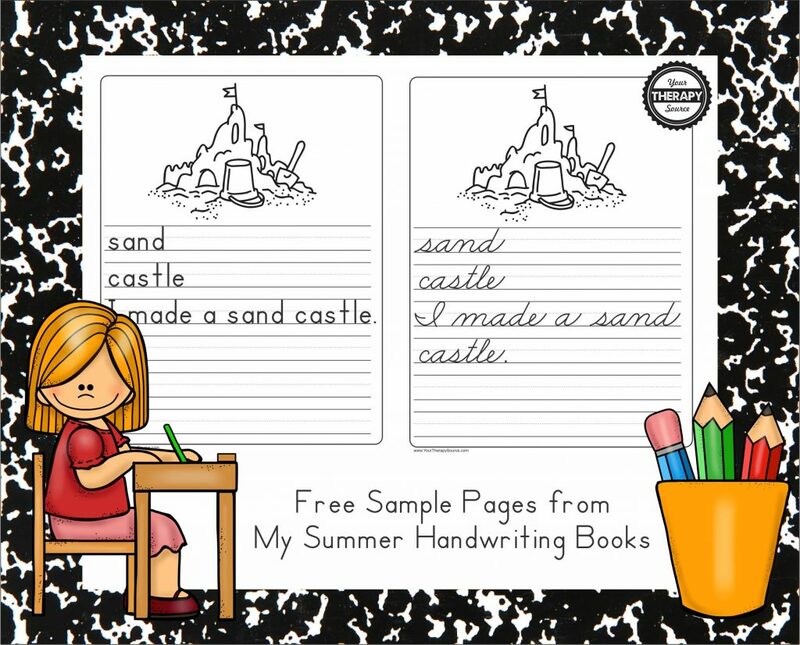 Here are two sample pages from the My Summer Handwriting Book packet. The complete My Summer Handwriting Packet download includes 5 different font styles of an 8 page summer themed handwriting practice booklet. Research indicates that to improve handwriting, practice sessions are necessary (Hoy, 2011). This copy booklet is easy to encourage handwriting practice. The five types of font/layout include: 1. Dotted line Zaner-Bloser® type font, 2. Dotted line Zaner-Bloser® type font with highlighted lines 3. Double line Handwriting Without Tears® type font, 4. New South Wales (NSW) Foundation Manuscript and 5. Cursive font. If you want your students to get some handwriting practice over the summer this is a great option. You can print as full size pages or directions are included on how to print multiple pages on one page to decrease the font size for the handwriting practice. It is in black and white so economical to print and kids can color in the pictures to make it their own. Each page includes 2 summer words and one simple sentence to copy. Children will be practicing labeling, letter formation and word spacing while copying the words. Download the sample pages at Your Therapy Source. Cat’s Whiskers Lacing Busy Bag Why Are So Many of Us Over-Sensitive?